While trying to decide which oil to write about next, I realized that I had never written about Juniper (Juniperus communis). This was no mere oversight, but based on the fact that I am allergic to the plant and avoid it. I discovered the depths of my allergy while living in the Southwest where the shrubs are rampant. When the berries would ripen and fall off I would run away because my nostrils would swell. Because writing about this essential oil would cause no such reactions, it is the topic of today’s post. 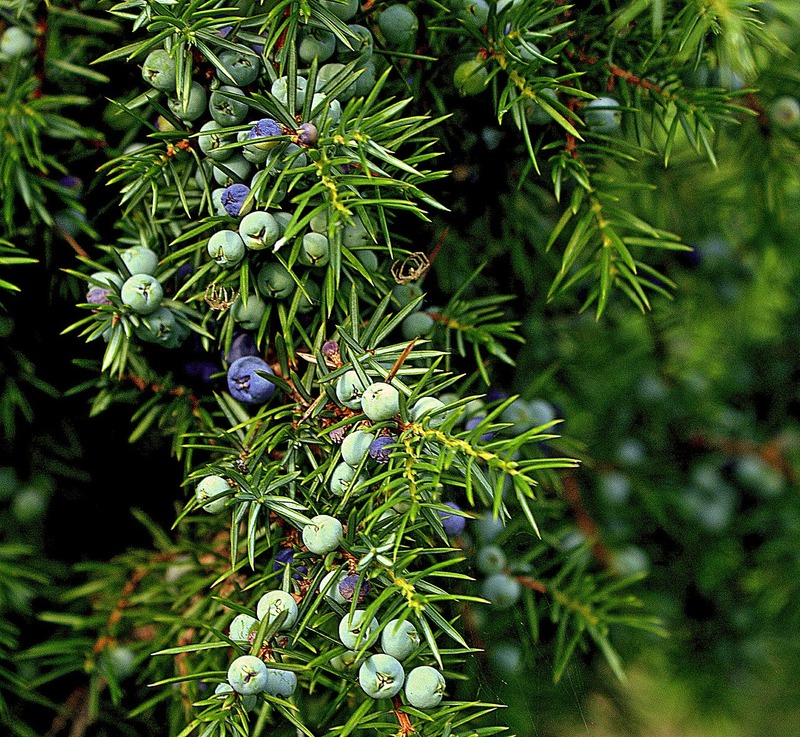 The essential oil from Juniper comes from the steam distilled berries. I am told it smells a bit like gin, and that “gin” is loosely derived from the word “juniper.” The scent is masculine, woody and earthy and used in room sprays to kill airborne germs (thanks to its being a natural antiseptic). Other uses for Juniper essential oil are to relieve cramps and spasms, and chronic rheumatic pain and inflammation. It’s helpful during cold and flu season, as well as in cases of acne. The oil is most known as a detoxifier, probably due to the fact that it tightens tissue and increases blood circulation. As a diuretic it helps with edema, but be advised that it stimulates the kidneys and take care when there are kidney issues present. Combine the essential oils and carrier oil. Fill a bathtub with warm water. Add the bath oil and swirl it around in the water.